Hellooooo, intrepid poets. De Jackson here (aka WhimsyGizmo), and it’s Quadrille Monday again here at dVerse. If you’re new to the pub, a Quadrille is a poem of exactly 44 words (not including the title), using one word we provide. Crunchy. Crunched. Crunching. Crunch-alicious. Crunch through those autumn leaves. Listen to the crunch of snow under your tires. Maybe eat a Crunch bar for some sweet inspiration. 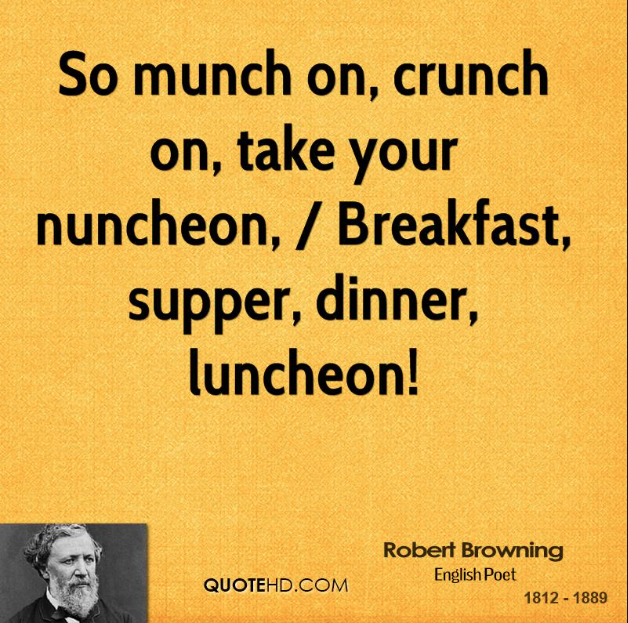 Crunch is a great onomatopoeia word, so have some fun with sound, if you like. Go here to read the rest of “The Crunch” by Charles Bukowski. Hi, gang. Glad you’re here! Happy crunchy writing. It’s crunch time, and I am pouring some smooth cocktails (alcoholic and non…it’s only noon here in Southern Nevada) to balance us out. What’s your pleasure? You got it, Vivian. Tall one, comin’ right up. Happy Monday everyone and thanks for hosting, De! I love the prompt word and can’t wait to hear the crunch of the quadrilles. Hi, Kim. 🙂 My pleasure. Glad you’re here. Good evening… the bar is crunchy tonight. Tonight I went a bit lighthearted in my writing. Lighthearted and dark-toned, B. Loved it. Thanks for hosting, De! Nice prompt. I liked the quotes. Thanks, Frank. So glad you’re here! Super prompt De. I would like a nice cold frosty glass of lemonade with lots of ice! Thank you for handling the bar! BTW. Is my bottle of ginjo sake still stashed under the bar? If so, I’d like to keep it there if I may for future sippings! Toni, your spirit will ALWAYS be here when you come back for it. Always. Pouring you a tall glass of lemonade with tons of crunchy, crunchy ice. Praying everything continues to come out just fine, Toni. Thank you De. I am so grateful to God for his continuing to bless my Brad. Love the crunch quotes and prompt word De ~ I now have to dash home from work and will be visiting the wonderful poems in a bit ~ Happy Monday and thanks for hosting!!! Happy Monday, Grace, and Happy Q. Yours was just so lovely. For those of you who have missed it. The anthology is almost ready for ordering at Amazon. YES! Thank you for sharing, Bjorn! And I will post a second before bedtime…. Hard cider coming up. How about a slice of apple pie on the side? Crumble-crunch cinnamon topping, of course. Had fun with the word, De. Definitely crunchy here at 14 F. this morning. I had some “picking up” to do in the grass this morning and felt it beneath my feet. I’m going to post a second with both words to date. I’ll see how far I can get and still make a little bit of sense. Thanks for hosting. Since it’s still cold I think I’ll stick with a soy milk latte, s’il vous plait. As are we. The weather here is crazy. We go from heat to air conditioning and back in the same day now and again. Love this prompt, but crunched for time, so I’ll have to come back tomorrow to read these and last week’s OLN poems. I need more hours per day. Anyone know where I can get some? Nice. A tasty prompt indeed! I have to step away from the bar for a couple of hours, gang (gotta take the boy in for an orthopedic checkup on his crazy broken hand.) Please write on, and I will be back in just a few hours to read. 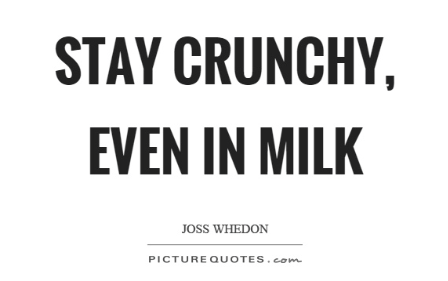 Crunch on, my friends. Evening, Poets! Thanks for the (crunch, crunch) tasty prompt! Bring on the Burgundy, and I’ll be back with yet another quadrille haibun! Cheers, Frank. Pouring you a large glass. 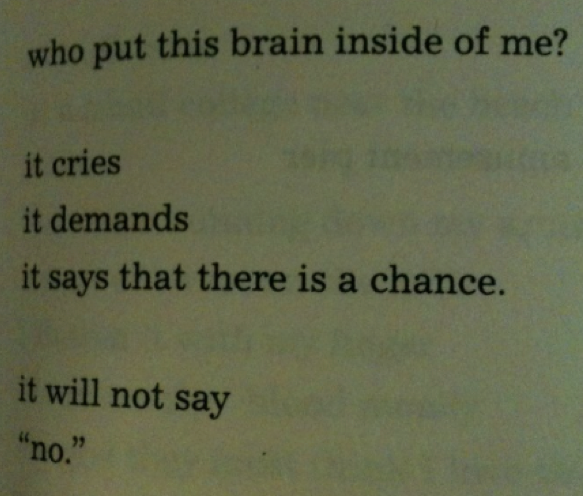 Thanks so much for the link to the Bukowski poem…that was an intense read. You’re welcome, Janice. Wasn’t it? I had never heard of that particular piece. Startling. This is my first Quadrillle ever. I hope I have it correct! Loved it, Dwight. Welcome! 🙂 We’re glad you’re here. Thank you Frank, I appreciate your welcoming support! I will be having eye surgery on Wednesday, so I probably won’t be back to writing until next week. Good luck, Dwight. Will be praying for you, and hope all turns out well for you. Had my eye surgery yesterday, an a return visit this morning. The doctor said my partial cornea transplant is doing well and looks good. I am glad I still have a good eye to type with. Late to the party….power cut wiped the server at my place of residence so no internets. Loved the word and the Bukowski. Happy you’re here, paul. I think I got TWO from you in my email inbox this morning, which is exciting. Heading over now! I’m in the midst of reading through a copyedited manuscript, so back to reading more later.